Core Kinesis= meaning a changing or evolution of cells. We are a diverse group of psychotherapists, counsellors, mediators, facilitators or coaches who facilitate growth, development, change and balance. We take a lead on creating safe and secure alliances and are relational and communicational experts. Between us we represent an ethical and integral practice. This is to personality profiles, strengths, backgrounds and life circumstances . We share a trusting commitment to developing individuals and community. We are a registered company operating to facilitate change and balance. Our belief is that we can be change agents by offering integrative facilitation. The professional competency and potency of counselling, psychotherapy and coaching has grown. The areas of interest are from humanistic psychology and positive psychology. The humanistic side is about the power of self awareness and human potential. The positive psychology side relates to a optimistic way of being regardless of the difficulties in life. This simultaniously mixed with empathic understanding of diverse and often difficult situations. We hold a belief that individuals can still understand and work through life stresses and empower themselves in the process. Our goals and services are about directing lives to flow in a healthy interconnection with others. We model and live our values which, include high principles, integrity, communication and trust. How we present is about who we are as a service and with people that we work with. We believe in health and peoples abilities to change and reach their potential. We do not hold judgement, discrimination or repress but are about appropriate empowerment, awareness , knowledge and connection. Communication, Counselling, Psychotherapy and coaching can use the psychological methods that are relevant when based on regular personal interaction, to help a person make the changes to reach full potential. This could include development, changes and overcoming problems in a desired way. The aims are to improve an individuals well being and mental health and to resolve any mitigating or troublesome behaviours, beliefs, compulsions, thoughts or emotions and to improve relationships and social skills. Our therapeutic approaches are the informed and intentional applications of clinical methods and interpersonal stances derived from established psychological principles for the purpose of assisting people to modify their behaviours, cognitions, emotions and other personal characteristics in directions that the participants deem desirable. Its about healing relationships using socially authorized methods in a series of contacts primarily involving acts, words, rituals as forms of persuasion and rhetoric. As sensitive and deeply personal topics are often discussed, explored and uncovered during psychotherapy or counselling. The professional services are legally bound to respect client and patient confidentiality. The critical importance of client confidentiality and limited circumstances in which it may need to be broken for the protection of clients or others is enshrined in the regulatory psychotherapeutic organizations “code of ethical practice”. In general, the communicational tools are about a process of assisting and guiding clients by a trained person on a professional basis to resolve personal, social or psychological problems and difficulties. 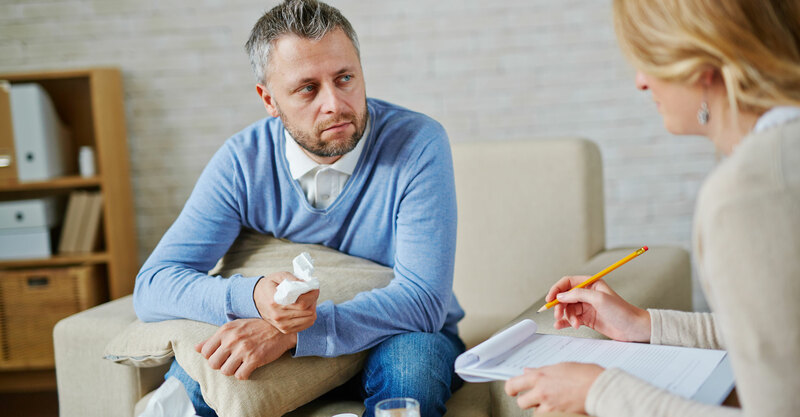 The process of client and counsellor setting aside the time to explore difficulties which may include the stressful or emotional feelings of the client. The act of helping clients to see things more clearly, possibly from a different perspective or view point. A relationship of trust and confidentiality that can enable and does not judge. This is the goal of facilitating positive change.. The effective therapies and communications can reduce confusion, allowing more effective decision making which leads to positive changes in attitude and behaviour. The skills involved re communicational expertise, active listening, clarification, reflection, effective questioning, developing rapport. Always impartial, they will shine a light on your choices while helping you see the world as it is. As a Practitioner Maria Moore has had a very diverse and interesting practice. This is ranging from more acute emotional disorders at Therapeutic Communities to motivational issues in a Private Fleet Street Practise. Maria has worked with individuals, couples, families, groups and organisations. Our diverse, comfortable, safe and welcoming practice offers an environment where my client and I can work together, forming a relationship that facilitates openness and honesty, allowing the client the space and safety to express themselves freely in a non-judgemental and confidential space .. I offer a gentle, calm and empathic space for clients to explore, make sense of and understand whatever may be troubling them allowing them to make any changes that they feel are necessary to lead a more fulfilling life. My belief is that my client is the expert on their own life and my aim is to support them in their process of change.